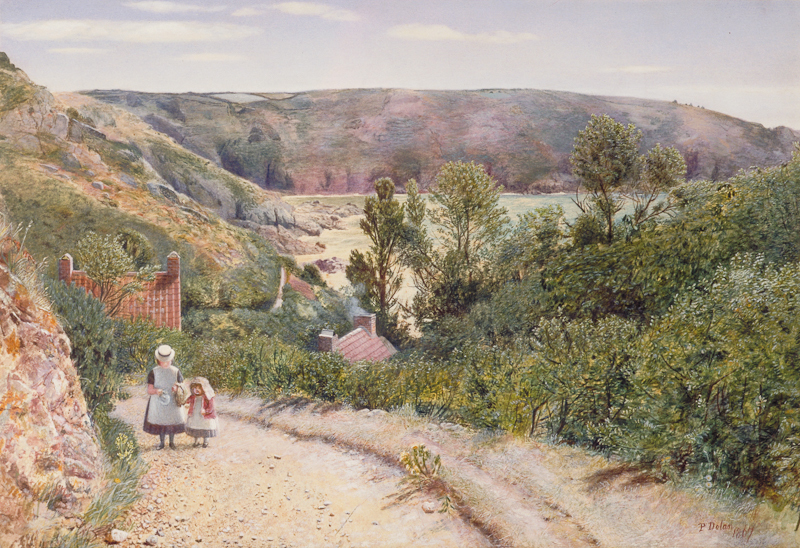 Guernsey's coastline has inspired artists for centuries, in particular the bay of Moulin Huet. One of the most famous artists drawn to this little bay was Pierre-Auguste Renoir, who visited Guernsey in 1883. Renoir's paintings of Moulin Huet can be seen in art galleries such as the Metropolitan Museum of Art, New York and the National Gallery, London. Other artists in the Museum's collection who have captured this coastal scene on canvas are the locally based William Caparne and the American, William Trost Richards. If you take a walk down through Moulin Huet Valley to the bay today, you will find that not much has changed since the 19th century. It is easy to imagine the artists of that time sitting on a rock with their easels and sketchbooks.